From Monday 18th March to Wednesday inclusive 03.04.2019 the Kirschner Stuben is closed. On Thursday the 4th of April we will be back for you from 12 o’clock! Feel good, relax and recharge your batteries – at the Maier zum Kirschner hotel in Rottach-Egern. Nestled in the magnificent mountains of the Tegernsee Valley, the “Maier zum Kirschner” hotel offers its guests a wellness destination with Alpine flair – harmonious, comfortable and welcoming! For more than 100 years, our family-run hotel has embodied true hospitality and has implemented this in a unique manner. Allow yourself to be pampered – this is the motto for your holiday. Enjoy all of the amenities at our hotel on the southern shore of Lake Tegernsee, because we nature, naturalness, tradition and modern design have been combined to form a harmonious whole here! And now the holiday begins. The unique nature of the Tegernsee Valley and the long-standing traditions of Upper Bavaria have shown us the way forward. That is why we have deliberately fitted out our rooms, apartments and suites using sustainable materials in a homely style – traditionally cosy, yet modern. Feel good, relax and recharge your batteries – at the Maier zum Kirschner hotel in Rottach-Egern. 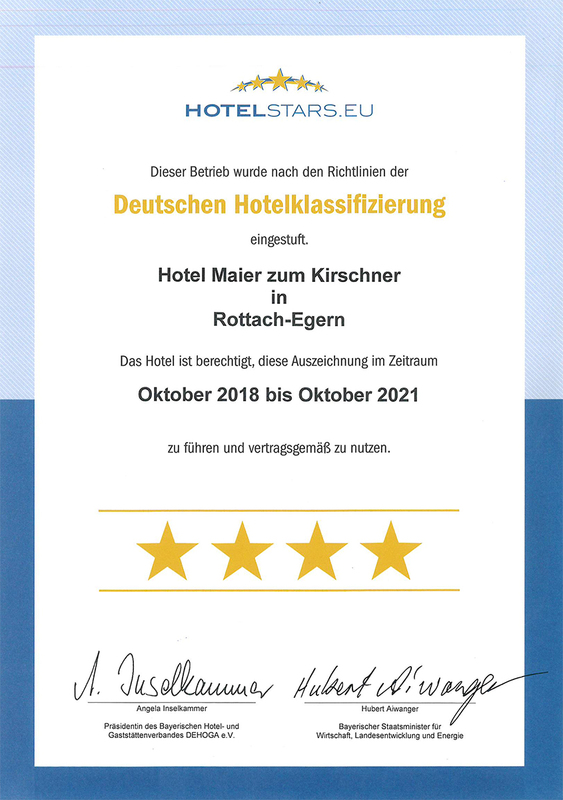 We are a traditional wellness hotel in the heart of Rottach-Egern, centrally located yet quiet at the same time, which offers its guests a unique atmosphere at any time of the year. Centrally located in Rottach-Egern, Germany – and yet quiet at the same time, away from all the noise, your holiday begins as soon as you have “finally arrived”! Exclusive and natural living. 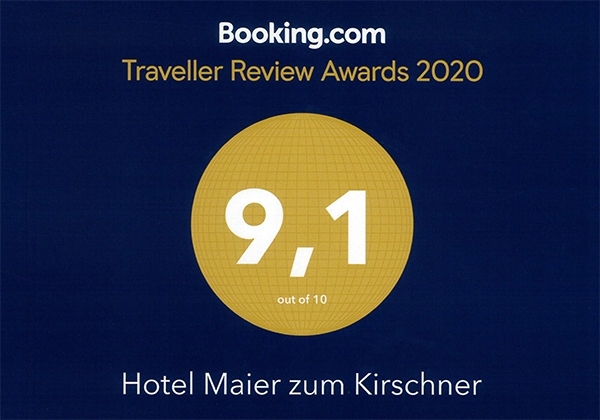 Come in and experience the atmosphere, feel good at first glance – this is the Maier zum Kirschner experience. Our spacious rooms, apartments and suites bring natural materials and modern functionality together harmoniously. Natural wood, high-quality materials and careful attention to detail create a special atmosphere. See for yourself, as you take a break from stress with us. All our rooms are equipped with minibar, flat screen TV, direct dial telephone, safe and radio. In our hotel, you can connect to the internet via wireless LAN (WLAN) free of charge. Arriving at the Maier zum Kirschner hotel. 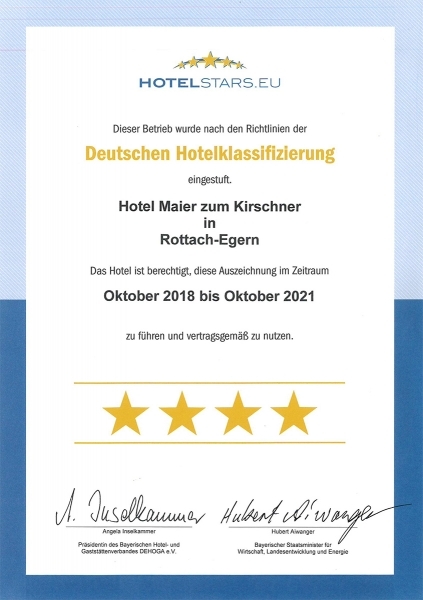 A relaxing lifestyle and a luxurious feeling of well-being coupled with Bavarian charm and family hospitality await you at our Maier zum Kirschner hotel in Rottach-Egern. The traditional Bavarian architecture of our hotel coupled with loving details is made for relaxing and for finding peace and quiet.